The Verdon College Climbing Club meets on Wednesday after school at the YMCA rock wall. Interested students completed an introductory climbing course during term two and with the help of Mountain Safety instructors, are showing rapid skill development. 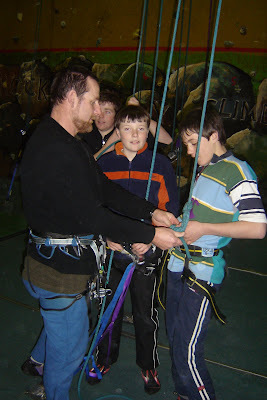 Pictured is Peter O'Neill doing a safety check on the knots before students attempt a climb. Anyone who is interested in joining these sessions should fill out a permission sheet from the office. The students are training for the annual Southland Interschool Competition at the end of the term.